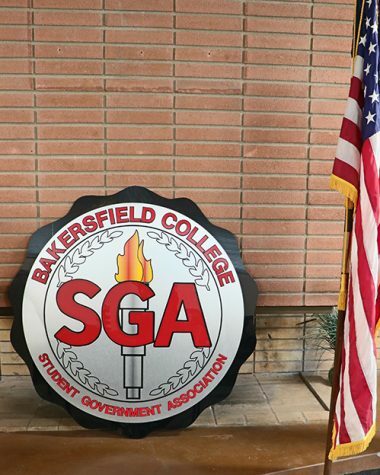 Casy Schauschlagur (left) tells Michael Alvarez, a USMC veteran, and Bakersfield College student, about some of the services provided by the Department of Veterans Affairs on Sept. 1. 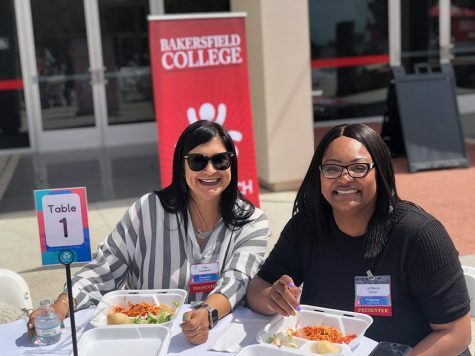 The local Bakersfield Department of Veteran’s Affairs was on Bakersfield College’s campus from Aug. 29 to Sept. 1, with their Mobile Vet Center from 10 a.m. until 2 p.m., located in front of the campus Huddle. Vincent Runnels, a work-study employee and former U.S Marine, was helping out the mobile center providing veterans on campus with information about the services the Veterans Affairs offers. 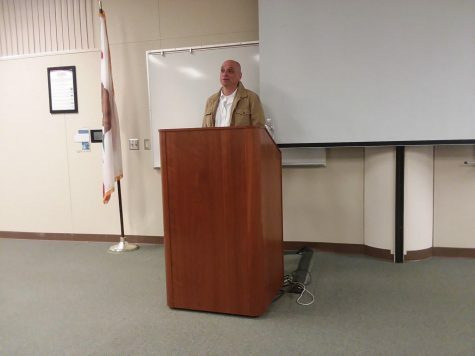 Runnel talked about what some of the purposes of the Mobile Vet Center were and how it allowed veterans to attain a work-study position like any school would, but it also enables them to get experience for government positions. 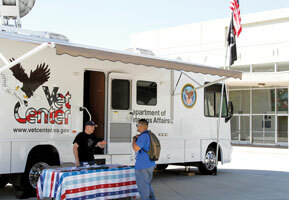 The information about services provided by the Mobile Vet Center ranges from G.I. Bills for education, to veteran housing assistance. They also offer outreach and referral services to veterans on BC’s campus. Inside the Mobile Vet Centers, there are two closed-off sections that provide private on-site counseling if needed at events. There is Internet access to the VA Web site and large television screens that can provide them with live conferences. The choice to use a large vehicle for their communication purposes stems from the organization wanting to make it easy to spot these valuable portable-counseling centers during any event they attend. Each Mobile Vet Center has a readjustment technician who is the driver and a readjustment counselor who handles issues such as military trauma and bereavement. 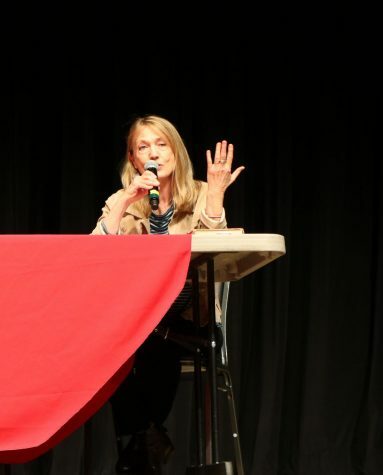 Jenny Frank, office manager at the Bakersfield VA center, explained how the mobile vet center is based on certain regions. 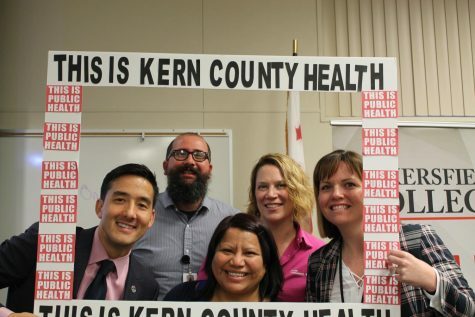 In the San Joaquin Valley region there are at least 13 of the Mobile Vet Centers available with the main offices in Santa Cruz, Fresno and Corona. Frank talked about how the mobile centers are actually requested from the main offices and sent out to cover local events within the region. The moving services is not just present to help all forms of veterans, it also provides information and counseling services for family members of deceased veterans.